James Rewucki is an interesting voice within the horror genre. 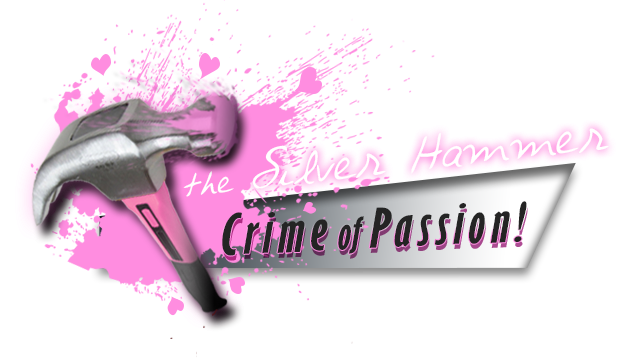 His films explore mental desolation, usually through the eyes of a male protagonist who may or may not be a reliable source of information. His latest offering, Tempus Tormentum continues this trend with a surreal cat and mouse chase through a forgotten, crumbling town that exists within the mind's eye. Featuring unnerving visuals, a fully committed central performance, and a mind-bending plot, this is an excellent example of what is possible within the confines of low budget film making. A drifter wanders into a quiet town, seemingly running from his past only to enter an unthinkable nightmare. 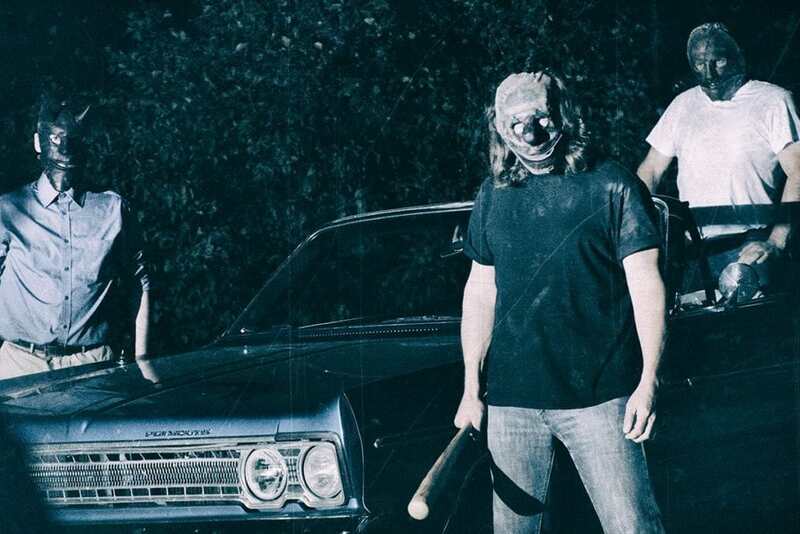 Drugged, harried, and tormented by a trio of masked killers, the drifter is forced to confront his inner darkness in hopes of finding an escape. Tyhr Trubiak gives an outstanding performance as the drifter; dubbed Mr. Mouse by his pursuers. This is the second collaboration between Trubiak and Rewucki and their partnership yields wonderfully malignant results. Trubiak's Mouse is obviously dangerous, yet his ability to generate empathy with the viewer is astounding. From the opening scenes, it is immediately obvious that this is a small indie picture. Most of the supporting performances are either forgettable or only serve as a vehicle to propel Trubiak to the next sequence of terror. The set design is cobbled together from whatever the crew had at their disposal, with everything masked by Rewucki and Kevin McQuade's devious cinematography. The entire film is a house of illusion, hiding its budget and constraints underneath a sickening veneer that works at almost every turn, mirroring Trubiak’s memorable performance. Astute viewers will make comparisons to The Most Dangerous Game and Rob Zombie's 31, however, the surreal aspects that Rewucki weaves into the narrative conjure memories of Lynch's Lost Highway and even his masterpiece Inland Empire. This is a haunted man's sojourn through an endless nightmare that is constructed from a toxic blending of external demons and his own desperate design. Rewucki and McQuade frame each horrific encounter with deep black shadows that are contrasted against untrustworthy sources of light. There's a remarkable black and white sequence dropped into the middle act that sets the tone for the finale and the way it is both framed and captured is perhaps one of the film's greatest strengths, made possible by intriguing lighting design and Rewucki’s kinetic editing. The attention to detail that is present throughout is symbolic of Rewucki's passion for his art and it only enhances the creepy ambiance that pervades every scene. 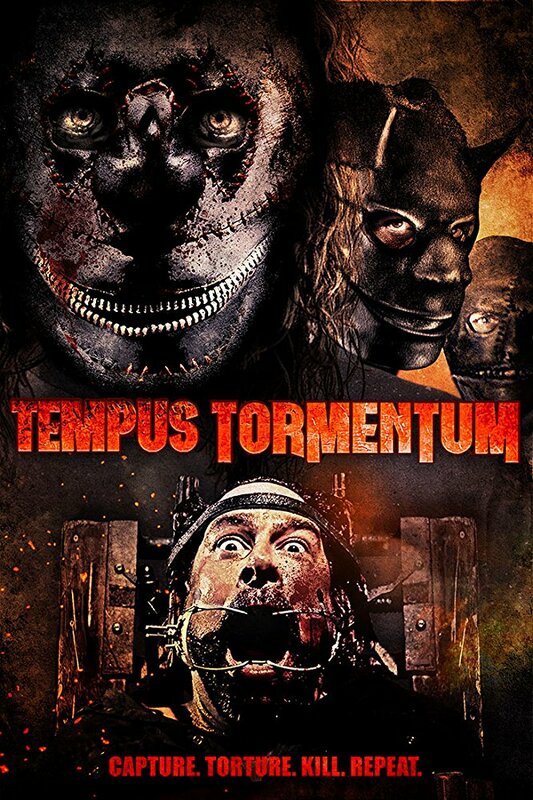 Now streaming on digital on demand, Tempus Tormentum is an excellent midnight horror offering. While the story is recycled from dozens of other films and novels, director James Rewucki's clear understanding of the story, coupled with his commitment to artistic vision elevates what would have been a forgettable D level horror film to a place that allows the film to linger in the viewer's mind long after the credits fade. Hopefully, its director has more to say in the coming years.